Amazing action sequences utilizing all the characters to their fullest. Presents the Avengers dilemma in heartfelt ways showing the massive consequences as well as the most personal reasons. Outstanding acting. Captain America: Civil War is a superhero movie produced by Marvel Studios and forces the Avengers to face their greatest challenge yet: themselves. It opens up in Siberia in 1991 with the Winter Soldier, aka Bucky, targeting a single automobile driving down a deserted road. He ambushes it causing it to crash into a tree taking out those inside of it. He then proceeds to recover vials of what appears to be more super-soldier serum. Fast forward to the present day and Captain America is leading a team consisting of Black Widow, Falcon, and Wanda Maximoff as part of an operation to track Crossbones in Lagos. Crossbones is attempting to acquire a biological weapon as part of his plan, and the team strikes once they learn of Crossbones’s target. He’s able to escape the facility with the weapon resulting in a chase in the crowded streets of Lagos. Seeing that he lost, Crossbones makes a last-ditch effort to blow himself up along with Captain America. Wanda intervenes but accidentally launches him into a building killing dozens of people including a number of Wakandans. In response the U.N. calls emergency meetings to pass the Sokovia Accords, which would put the Avengers under the U.N.’s control or label those who don’t join criminals. But with the situation becoming more volatile in the world, will the Sokovia Accords divide the Avengers for good? I make sure not to approach every superhero movie with the mentality that it has to be the greatest one to date or else it’s trash. I went into Batman v Superman with low expectations so I might enjoy it better but no matter how much I wanted to I still couldn’t enjoy it. Captain America: Civil War was the opposite in terms of my expectations so I went in with high hopes and I was more than satisfied. I saw it a second time just to make sure that I wasn’t just caught up in all the excitement and it was even better as I noticed more I didn’t initially pick up. Now I’m glad I can state that Civil War is singularly one of the most entertaining superhero movies and adds greatly to the overall Marvel Cinematic Universe. Plus if you went into this movie with a favorite superhero among the group then you will be pleased because an amazing job was done juggling the various characters without making them feel like a last-minute unnecessary addition. 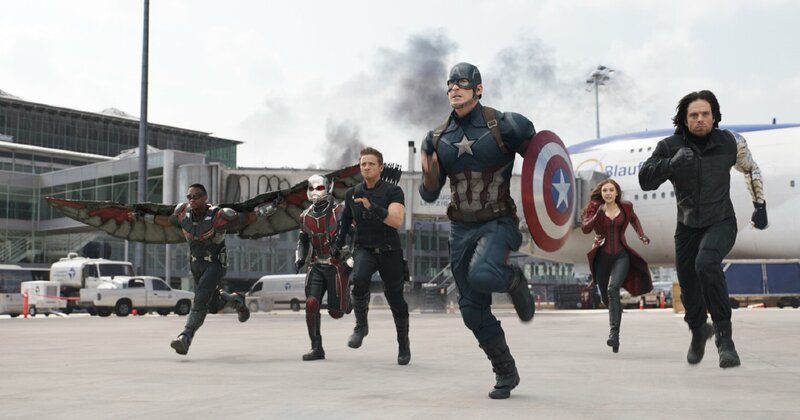 The opening sequence with Cap and his team pursuing Crossbones set the tone early for the reminder of the movie. The Russo brothers did an outstanding job with the action sequences in Winter Soldier and thankfully the action sequences weren’t lacking here either. The justification for it, to stop Crossbones from acquiring a biological weapon, was good, and it was an opportunity for all those involved to show off their new abilities and/or gadgets. And the shocking sequence with Wanda blowing up the building was powerful, and the type of event needed to explain the Sokovia Accords being voted on by the U.N. I appreciated how this was only one of the defining moments that would create the resulting scenarios throughout the movie. Not only was the issue of whether or not the Avengers needed a governing body overseeing them and holding them accountable a deep one but this allowed for additional story threads to come together into one cohesive story. Tony Stark aka Ironman would be approached by a woman telling the story of her son, who was killed in Sokovia during the Avengers’ battle with Ultron. This would weigh heavily on Tony’s mind considering he created Ultron. This would shape his view of the Sokovia Accords, which was that the Avengers did need more oversight. General Ross would be the one presenting all of this to them. And if you remember the General from the Hulk movie then you know he’s not to be trusted with superpowered beings. Yet General Ross wouldn’t be the sole “villain.” There was also a mysterious character obsessed with the details from the opening mission in 1991. 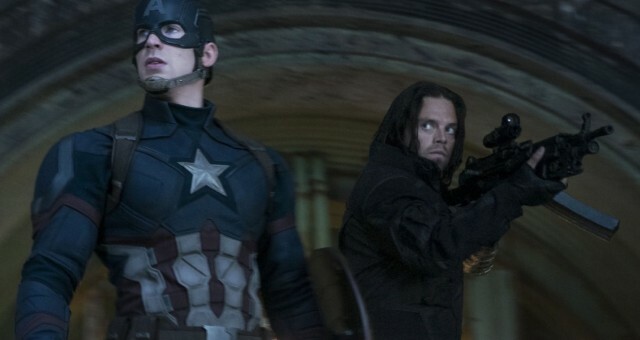 He was ruthless and his focus was on acquiring the means to control the Winter Soldier. Since the Winter Soldier would have the entire world looking for him because of him being framed for an attack, this mysterious man’s agenda was intriguing. I wondered what his ultimate goal was as well as how this could be tied to a potential overarching conspiracy against the Avengers in the Marvel Cinematic Universe (my theory). However, the true “villains” in this movie were the Avengers themselves, one against the other. 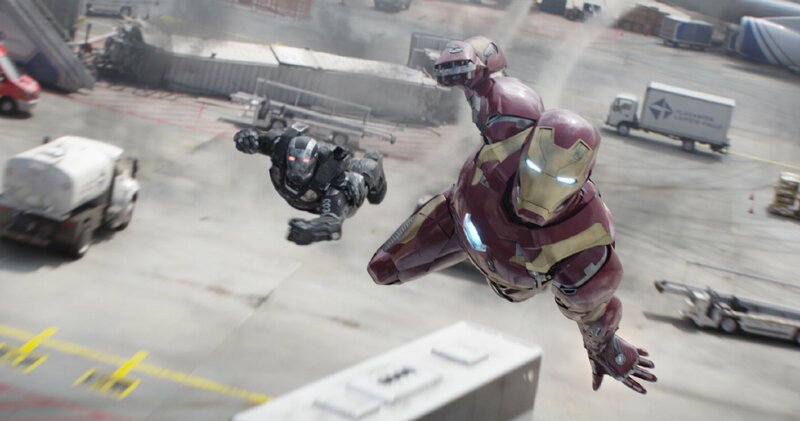 Iron Man wasn’t a villain in the traditional sense because his stance wasn’t necessarily wrong but he was definitely an impressive antagonist regardless of how his position may or may not have changed. So the civil war, internal struggle of the Avengers was captured perfectly. This dynamic wasn’t just present in Captain America and Iron Man’s relationship but other Avengers too. Wanda and Vision’s relationship was different with a budding romance giving insight into both characters and their powers, and they would end up on opposite sides of this issue. Their interactions were entertaining and I’m looking forward to what’s in store for them down the line. Black Panther, a character I’ve been looking forward to more than anything and was amazing in every way, had his own deeply personal reasons for being involved with his focus on the Winter Soldier. Every character had a stake in these events, and whether it was big or small it still fit into the story line, which had some enjoyable plot twists. One thing that can’t be stated about Civil War is that it lacked action. There were few sequences that didn’t end with some action but the best part is that none of it felt forced. Well actually, the best part of it was how everyone’s abilities were utilized throughout the movie. It’s not hyperbole when I state that the airport scene was by far the greatest action sequence with this amount of superheroes sharing the screen at the same time. I could say Ant-Man and Spider-Man stole this scene but in reality they just added to a scene that was created by those who understood the characters, their abilities and what made them awesome. This was entertainment at its finest. 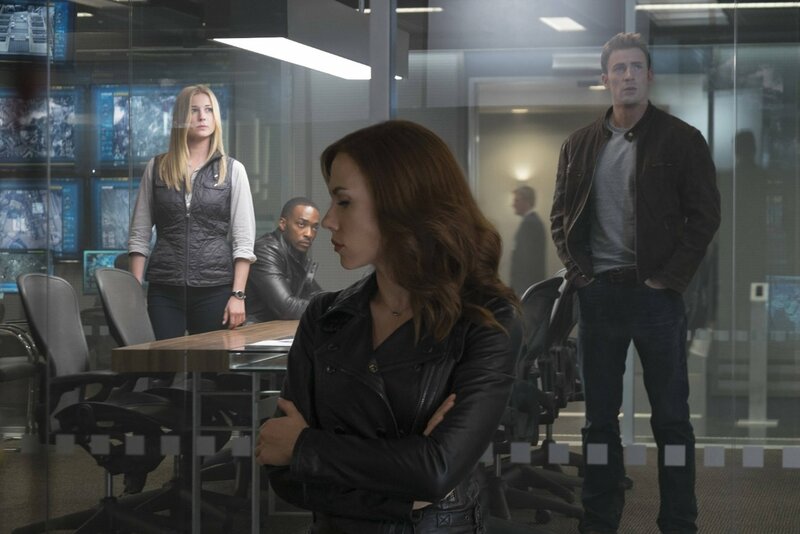 The final act would be just as intense, however, the story developments completely changed the current state of the Avengers, which once again made the villain’s ultimate goal more intriguing in retrospect. Yes, the Avengers were in this movie but it was still a Captain America movie so the ideals he represented were still the ones being challenged. The fact that none of the other superheroes wanted to kill Cap but had no qualms about killing another at various points throughout this movie was a testament to what he represented. I won’t give away any spoilers so I’ll just say I was thoroughly satisfied with the roles the characters played at the end including the twists. Despite the Avengers being divided my heart wasn’t divided on how enjoyable this movie truly was. Captain America: Civil War is a magnificent movie that mixes the right amount of action, humor and story development and delivers an unforgettable experience. Not only is it a solid standalone movie but also tremendously increases my excitement for all upcoming Marvel movies. Civil War gets to the heart of the matter in terms of the pros and cons of the Avengers answering to a governing body in engrossing ways. It’s bold in the way it changes the status quo for the Avengers going forward. It’s intriguing how the villain was able to accomplish so much but the beauty is in knowing that it all ties together so well.